I get told all the time, we are trying to decide between buying a boat, or joining a club, can you help us decide. The answer is yes, I am the perfect person for that, because I own not one, but two boats, (well I am The Boatanista)! I also own The Freedom Boat Club, so I understand who fits both. I hear it from friends and acquaintances all the time: We need some advice. We are trying to decide between buying a boat or joining a boat club. What should we do? 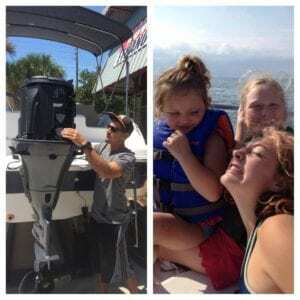 As owner of one of the most successful Freedom Boat Club franchises in the nation, and a lifelong boater, who owns two boats, I certainly know all the pros and cons. Plus, I am the Boatanista! Who else you gonna call? The bottom line: I am a passionate advocate for boating who wants to see people make the best decision for them. The good news is that there are now more options than ever to enjoy this wonderful outdoor recreation. Let me share a few insights. You want a cabin cruiser, or a boat larger than 24-foot. You want to just weave boating into your already busy schedule. In summary: The question is not whether boating is right for you. The question is what kind of boating fits your lifestyle: ownership or membership. If you have other insights about this, please let me know.